Resident Working Group Meeting #5. Presentation & comments on what was learned at the charrette. Community Open House. 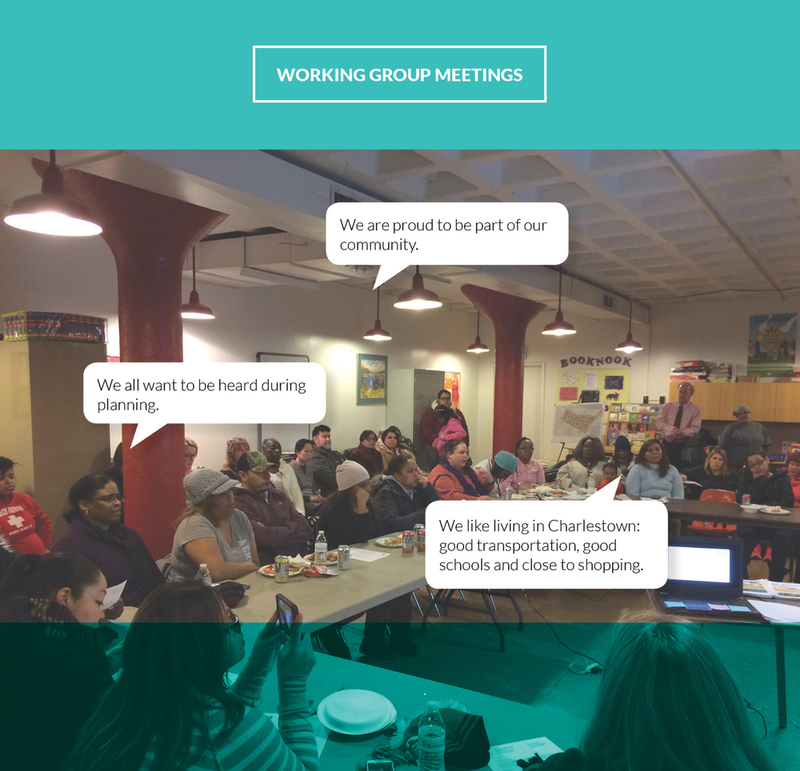 Development team invites broader Charlestown community to learn about the project. Development team attends Task Force Board meeting and gives a project update. Development team gives update at a resident meeting organized by the Task Force Board. Development team attends Task Force Board meeting and presents a survey of service providers in the area. Development team organizes an Information Committee of residents to distribute a community newsletter. Development attends Task Force Board meeting and discuss Expanded Project Notification Form & HUD Disposition application. Development team hosts meeting for all residents to discuss Expanded Project Notification Form & HUD Disposition application. Development team organizes a Design Committee meeting to review initial design concepts and building elevations. Public engagement has continued during the Boston Planning and Development Agency's project process.